Do you want to learn Spanish in a beautiful location, amongst dazzling, sandy beaches and a striking contrast of traditional and contemporary architecture? 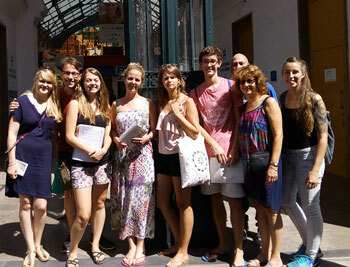 Then why not consider our Spanish school in Malaga’s city centre? 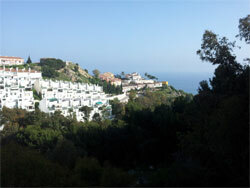 This seaside destination will provide you with endless possibilities during your stay here, whether you want to spend your afternoons on the beach soaking up the Mediterranean climate, enjoying Spanish tapas with views of sparkling waters and palm trees or being transported back in time whilst learning something new about Malaga’s rich culture. Our school is located in the very heart of Malaga’s pedestrianised centre, just a few minutes’ walk from the Plaza de la Constitución. This remarkable location provides the perfect base for exploring Malaga’s key sights on foot, or simply wandering the bustling streets and squares, browsing the fantastic array of shops this city has to offer. The new Pompidou centre, the harbour and marina, which have undergone impressive development in recent years and the historic Alcazaba are all located within easy walking distance of the school. 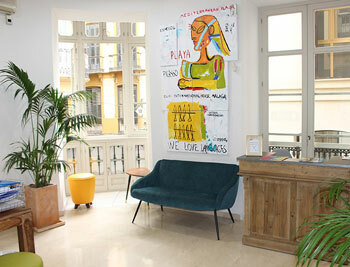 Not to mention, the Picasso museum is also nearby, which is an added bonus for any art fanatics out there! 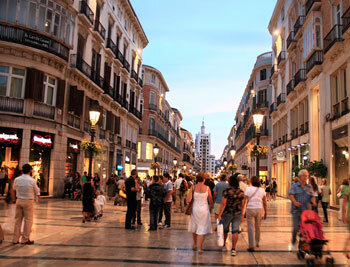 Come and study at our Malaga City Centre school and spend your time in the midst of Malaga’s vibrant city life. Our school is located within the commercial hub of the city, where you can experience Malaga’s lively, youthful spirit first-hand! It is situated on the first floor of a historical building, looking out onto bustling streets, with views of beautiful stone buildings and charming balconies. It is comprised of 8 well-lit classrooms, a reception desk and a student common area with Wi-Fi access. Our Malaga school offers a popular Intensive course which includes 20 Spanish lessons each week, taking place on a Monday to Friday basis from 9:15am to 1:00pm. For students hoping to take a higher number of lessons, Super-Intensive courses are also available, with 25 lessons (9:15am – 2:20pm) or 30 lessons (9:15am – 15:10) each week. Classes are kept small, with a maximum of 10 students in each group. This allows for a more personalised teaching approach, giving students as much opportunity as possible to participate in lessons and generally making classes more dynamic and enjoyable! Private lessons are also available at our Malaga City centre school, offering one-to-one interaction with the teacher. 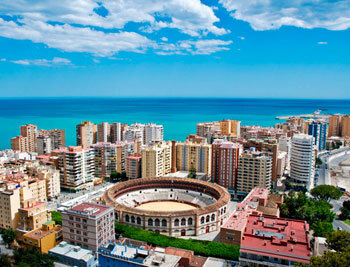 This is an ideal option if you have specific areas that you wish to cover within your Spanish course. For those of you who want to make as much progress as possible during your Spanish course, choose to stay with one of the school’s carefully selected host families. You will stay in a single room on a half-board basis (2 meals per day). 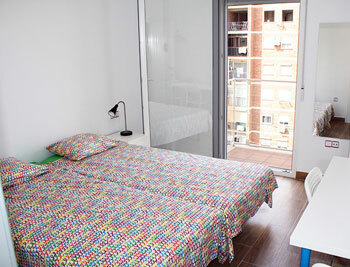 Shared rooms are also available for students travelling with a friend or relative. There is no better way to immerse yourself in the language and culture than in conversation with your host during a delicious Spanish meal! If you wish to have more independence during your stay in Malaga, you can stay in a shared apartment with local Spaniards or fellow students. Shared apartments include private bedrooms and shared kitchen/bathroom facilities. Our Malaga school also offer student residence accommodation, for those wishing to socialise as much as possible and make friends with people from all over the world! 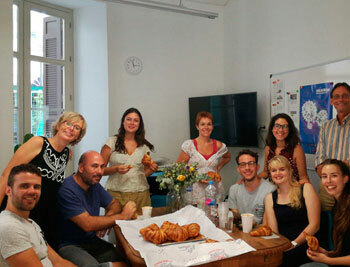 The residence is located just a few steps from the school and includes breakfast in the canteen. Flamenco shows, visit of the Picasso museum, excursions to nearby towns and cities, walking tours, visit of the Malaga Museum, cultural exchanges and much more! Some activities are free to attend while others incur a small fee. You can book and pay for activities upon your arrival at the school. Malaga has a large international airport with excellent flight connections. 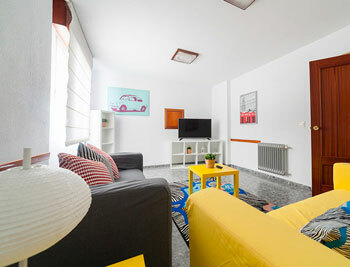 From the airport, the city centre is easily accessible by public transport or by taxi. A private transfer service is also available on request at an additional cost. Truly excellent course and superb teacher, good mix of interactive activity with students, course book used more as backup for grammatical points. For someone with quite low level of Spanish I felt this style of teaching helped me to learn a lot and inspired me to improve my knowledge of grammar back home in UK. Extremely enjoyable due to enthusiastic & committed teachers. Also very friendly staff who are always happy to help. The whole experience exceeded my expectations and I hope to do a course with you again.